This area is devoted to tips for collectors and sellers alike on what to look for when selling and purchasing, what to do about formats and that infamous red herring--the copyright date! For several guides on Nancy Drew, visit the Books About Nancy Drew section. If you are interested in having your books identified and valued, I do appraisals. For Selling Tips, they are located below under Collecting Tips! 1. Nancy Drew books have been in print from 1930 until present day, so there are a lot of formats the books have gone through over the years. 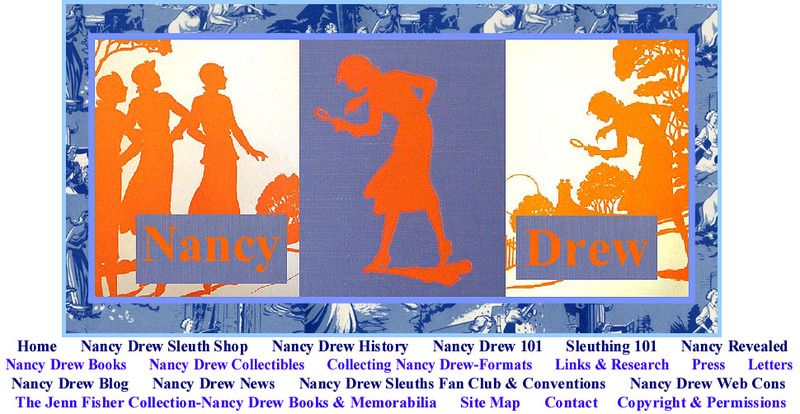 Check out the Collecting Nancy Drew-Formats section at this website to view the various formats from the dust jackets to book covers to endpapers to internal illustrations--will give you some perspective on when these were available and what books came in these formats. 2. Beware of the Copyright Red Herring. Just because the book has a 1930 copyright, doesn't mean it's a printing from 1930. Some sellers do not realize this. One way to help you figure out the general date of the book as a general rule, is to check book lists either on dust jackets or internal listings of books. 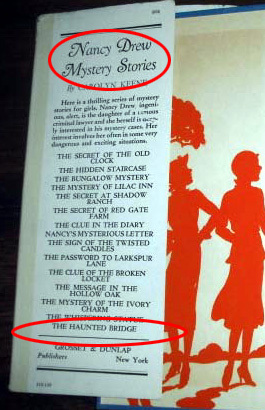 Whatever Nancy Drew book is listed last, check to see when it was published. If your copy of The Secret of the Old Clock book lists to The Clue of the Velvet Mask (#30), it is likely a printing circa 1953 for example. 3. How to determine an original from a revised? Rule of thumb number one is that only the first 34 books were revised. Number two is that an original will have 25 chapters, a revised only 20. And you can also look at the copyright date - book #34 came out in 1956 so 1930-1956 copyright dates mean it's an original text. 4. Only the first 38 books came out with dust jackets, books 39 to 56 all came out as yellow spine picture covers. Of course, eventually books 1-38 were produced in the YSPC format. You cannot get an OT in the YSPC format for books 1-4 and 6, these books were revised before the YSPC format debuted. 5. Is it RARE?! Probably not. Beware of listings that shout from the rooftops that the book is rare. There aren't too many rarities in the Nancy Drew collecting world--some are just scarce items. 1) Only the first 34 books were revised. 2) An original text of 1-34 will have 25 chapters. Revisions have 20! #2: What does a format #1 Nancy Drew book look like? A: These format #1 books were out beginning in 1930 through early 1932. Only the first 7 books came out in this format. The format does not have the familiar orange silhouette on the cover--just orange lettering. The endpapers are blank a.k.a creamy white in color--no orange silhouettes. #3: How can I tell if a book is a first printing? A: Generally, a first printing will list to itself, however this is not a fail-safe rule. Some books listed to a previous volume, and some lists were not updated for a few printings. It helps to have a guide to identify these. #4: Q': I want to get vintage Nancy Drew books with glossy internal illustrations, how many volumes came like this? A: Only the first 13 books did through printings from 1930 to 1936. Because the books continued to look similar in board style after 1936 for a time and they still had a glossy frontispiece, be sure to double check with a seller to see if a book does in fact have 3 internal glossy illustrations. Many sellers don't realize they exist and miss them if they haven't gone through the book very closely. And be sure to check that the illustrations are attached properly. #5. If you want a vintage set of all white spine Nancy Drew dust jackets, only the first 22 books came in this format. #6. Beware of the Copyright Date Red Herring. Some sellers think that because a Nancy Drew book carries a copyright of 1930, it's a printing from 1930. Keep in mind, the copyright date did not change overtime, unless a book was revised, or some other necessary information was added to the copyright page! #7. Beware the prices of glossy flashlight edition yellow spine picture covers. You can still purchase these in bookstores today as they're still printing them. Don't pay more for them when you can get them brand new. Bid wisely at online auctions--you can get great deals on these at eBay sometimes. #8. Yellow spine Nancy Drew picture covers (YSPCs) were not produced until the 1960s--in the matte style--and were published in this style through the mid-80s. #9. If you're looking for a uniform set of blue boards, the only style of blue boards that you can get for a full run of volumes of 1-38, are the blue tweed boards. #10. There were no more blue boards with dust jackets after volume #38, the yellow spine picture cover format debuted with volume #39. Where Can I buy Nancy Drew Books & Collectibles? If you're a seller or interested in selling your books or extras, here's some tips I have for selling. These are more for those who casually sell or who do not know a lot about vintage series books - so I put this info out on my website to help inform sellers who don't realize what they have or what buyers might want to know about what they are selling. I've had a lot of collectors and sellers pass along feedback that this page is helpful to them, so I hope it helps you too. Your average eBay seller of vintage children's books doesn't always do their homework and does not realize what they have and that's OK. 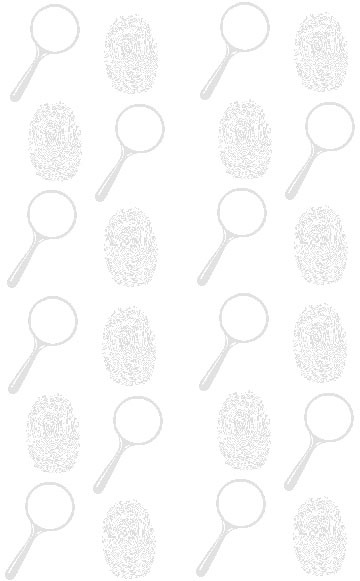 If you're here reading these selling tips, then you're halfway to solving the mystery of the vintage Nancy Drew books. You may think you've stumbled upon a very valuable and even a rare Nancy Drew book. Chances are it's a very common and much later printing that you suspect and worth less than $50.00 to $100.00--maybe even as little as $5.00. At the end of the day it will probably be worth what people are willing to pay. You can always search market value - see what it's sold for at eBay recently and that can give you a good idea of how to value/price your items. I've seen sellers list a yellow spine picture cover for $99.00 thinking it's extra special when it's worth about $5.00. I've seen some sellers at eBay trying to sell Nancy Drew books in the hundreds that aren't even valued for half what is being asked. And then I've seen sellers listing a first printing The Secret of the Old Clock book for a buy it now of $100.00 when it's worth in the thousands with the original dust jacket. Being realistic about what you have by doing some research and understanding values is key. Beware of the copyright red herring - do not be fooled by the copyright date! It was not changed from printing to printing unless the text was revised. It is not reflective of what printing you are actually holding in your hands! With the exception of a couple of printings for picture covers that actually noted a printing date, 99 percent do not have this information. You have to look to other factors about the book to determine the actual printing date such as what the book lists to inside in front/back or what the dust jacket lists on the flaps or on back. PLEASE NOTE: When you list at auction sites like eBay, you need to keep 2 things in mind. The first, is that if you are selling something that's worth quite a bit or a first printing or one of those early blank-endpaper Nancy Drew books, there is a small minority of unscrupulous sellers/collectors/? out there who have taken advantage of unknowing sellers by making them offers to sell outright and end auctions. In one case a seller sold a 1st printing of #3 The Bungalow Mystery with a dust jacket for $300.00 when it would have likely brought upwards of several thousand had it run its course at auction. The buyer knew what they were doing and the seller was unaware. So not the best Nancy-like etiquette, but at the same time, sellers should do their homework and be aware of what they are selling. It's very easy to do a Google search and look for information. There are several sites including mine that offer this kind of information about Nancy Drew books and the various formats. It's also against eBay rules to take a transaction off site like that and make deals to end auctions. The second thing to keep in mind, is that for most auctions, collectors will typically bid in the last few seconds of an auction--called SNIPING--that is when the price will really jump if you have something of value and something collectors desire. So if your item has few or no bids up until the last few seconds, this may be because collectors prefer to snipe--it's cheaper than getting into bidding wars during the main duration of an auction. I've seen auctions jump from $50.00 to $4,000.00 plus in the last 7 seconds of an auction due to sniping for a desirable books and especially first printings of the first several Nancy Drew books. So to recap--be sure not to sell too low to a small minority of unscrupulous collectors and also be aware that most collectors will snipe in the last few seconds of an auction. If you want to protect a value or investment, use a reasonable reserve on the auction if you're worried about waiting to the last few seconds to see how much it will sell for. This is my chance to influence some sellers or future sellers with some simple advice. Especially if you are selling your books at auction, Take the time to be detailed! It will result in less e-mails from buyers asking for the details. And please post photos showing the front/spine/back of books and if there's any major damage, please show photos of that. If there is no list of books or pages of advertising either front or back, then note that. Give your potential buyer/bidder the following information for books that are picture covers--the last listed book on the back cover of the book. If the last listed book for example re: Nancy Drew books, is the Cookbook, then also list the next to last book. And if there are any pre or post text lists - also give that information as well - last listed title. If it's an order form, note that when revealing the last listed title. Those inner lists help too! The reason for this information, which may seem a bother to some sellers at taking the time to note it, is to be able to distinguish between common and 1st printings/formats, rarities, etc.. I cannot count the number of e-mails I send to sellers asking for this information. If you're selling at eBay you can add the question/answer to the listing via the contact form--I suggest you do that or update your listing descriptions with the info so you'll not get asked repeat questions. Where Should You Sell Your Books? I put together 95% of my extensive collection using eBay in the late 1990s onward. The last few years have really declined in the variety of listings and the amount of unique or scarce collectibles. With all the new rules, regulations, and fees, eBay pretty much drove away the mom and pop sellers who were selling items from grandma's attic--the really good finds! Now you have a mix of lots of modern books from wholesale sellers and just a little bit of vintage items. It can be very hit and miss. You also have resellers who buy in the same market, driving up some prices, when they try to resell these items which has driven away some collectors and sellers as well. I'm not referring to collectors who buy bulk lots and then resell extras. It would be nice to see more mom and pop sellers with these vintage books and collectibles give eBay a chance again. Try it, and see how you like it. If you have quite a variety of series books and/or other items, consider renting a booth at a local antique mall or flea market. These can be great places to sell and collectors are always on the look out at these types of establishments. The Facebook groups for selling are great and quite a few collectors will post their wants or what they're selling or willing to trade there, so it's a good place to show what you have for sale. And, it's free! Good luck in your collecting and selling! Copyright © 2001-2015 by Jennifer Fisher. All Rights Reserved. Nancy Drew® and the Hardy Boys® are registered trademarks of Simon & Schuster, Inc. All rights reserved. This site is neither affiliated with nor endorsed by Simon & Schuster, Inc. Any of Simon & Schuster's Copyright material appearing on this site complies with fair or acceptable use principles established in U.S. and International copyright law for the purpose of review, study, criticism, or news reporting.